As part of its 10th anniversary celebrations, Moo released the latest iteration of its seasonal Saison. And a couple of other versions too. The others included a Black Saison created in collaboration with their mates at Lonny's Saint John Craft Beer and a barrel-aged, brettanomyces version of it that had been aged in barrels at the bar. 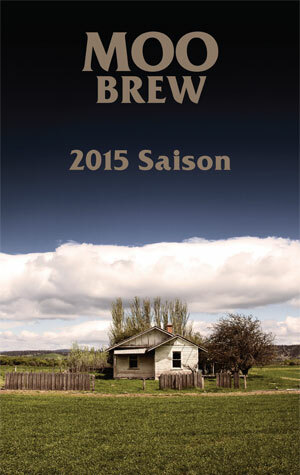 While those two were limited in volume, the seasonal Saison will see a far wider release. They're describing the 2015 vintage of what's become an annual brew as "a tarty little number". The brewers added some Munich and Vienna malts to the pale malt base, to enrich that side of things in order to balance the tartness of the chosen Saison yeast. The outcome, they tell us, is "a dry, crisp beer that is just right for those long summer days". You should be able to find some using the store locator linked here.